(Celia Shortt Goodyear/Boulder City Review) Jim Ferrence, from left, City Manager Al Noyola, Mike Pacini and Rob Martello take time out for a quick picture at the mayor's State of the City address on Thursday, Jan. 17, at the Boulder Creek Golf Club pavilion. (Celia Shortt Goodyear/Boulder City Review) Boulder City residents, from left, Barbara Adams, Paul Adams and Mike Hernandez enjoyed catching up at the mayor's State of the City address at the Boulder Creek Golf pavilion on Thursday, Jan. 17. (Celia Shortt Goodyear/Boulder City Review) Boulder City Police Commander Brent Speyer, left, and Boulder City Police Chief Tim Shea enjoy a conversation at the mayor's State of the City on Thursday, Jan. 17, at the Boulder Creek Golf Club pavilion. 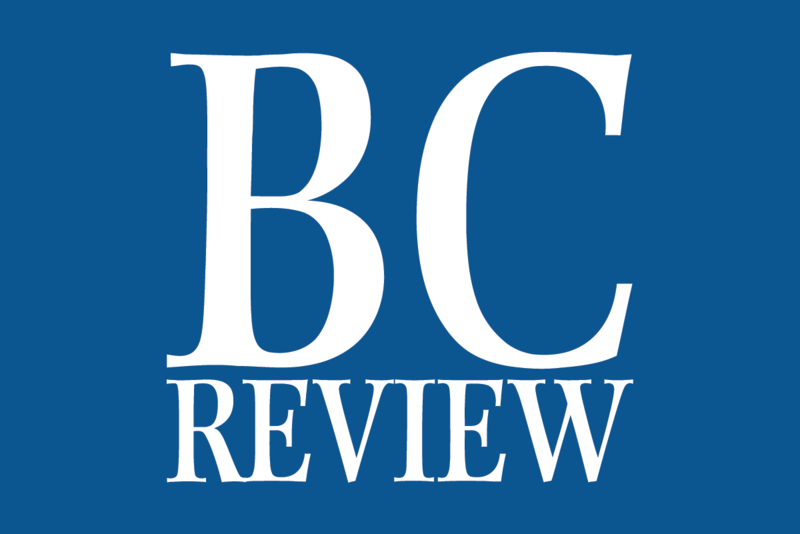 (Celia Shortt Goodyear/Boulder City Review) Boulder City Mayor Rod Woodbury's State of the City at the Boulder Creek Golf Club pavilion was well-attended by residents, business owners and state and local dignitaries. (Celia Shortt Goodyear/Boulder City Review) The mayor's State of the City event on Thursday, Jan. 17, was a time for residents and city staff including from left, Glenn Feyen, Judy Dechaine, City Councilman Kiernan McManus and Boulder City Municipal Court Judge Victor Miller to mingle and catch up. 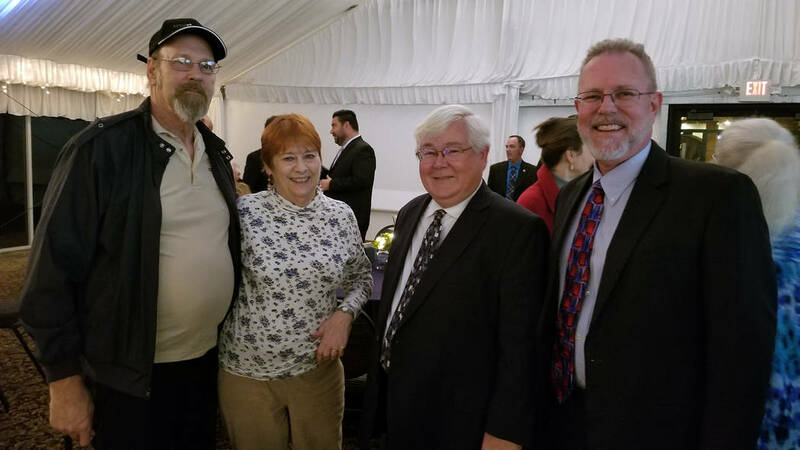 The mayor’s State of the City event Thursday, Jan. 17, was a time for residents and city staff including, from left, Glenn Feyen, Judy Dechaine, City Councilman Kiernan McManus and Boulder City Municipal Court Judge Victor Miller to mingle and catch up. 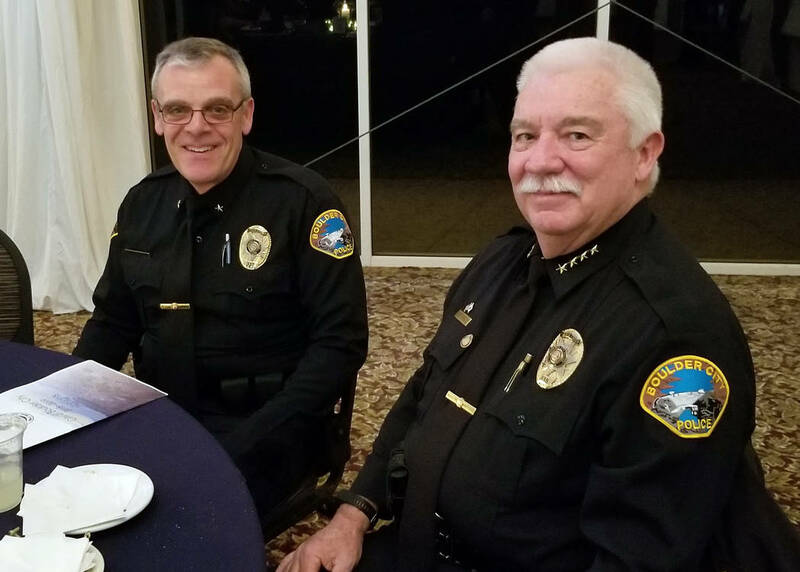 Boulder City Police Commander Brent Speyer, left, and Boulder City Police Chief Tim Shea enjoy a conversation at the mayor’s State of the City on Thursday, Jan. 17, at the Boulder Creek Golf Club pavilion. 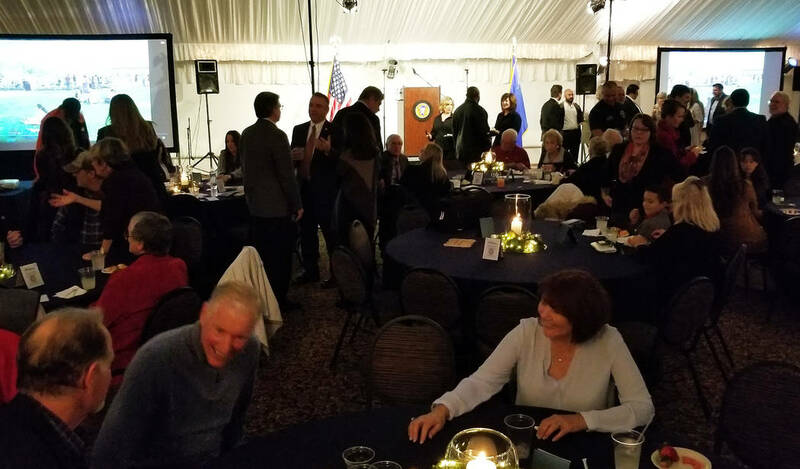 Boulder City Mayor Rod Woodbury’s State of the City at the Boulder Creek Golf Club pavilion was well-attended by residents, business owners and state and local dignitaries. 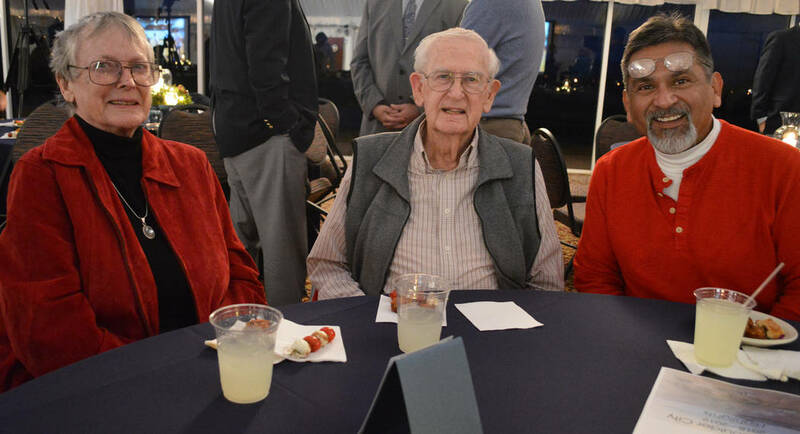 Boulder City residents, from left, Barbara Adams, Paul Adams and Mike Hernandez enjoyed catching up at the mayor’s State of the City address at the Boulder Creek Golf pavilion on Thursday, Jan. 17. 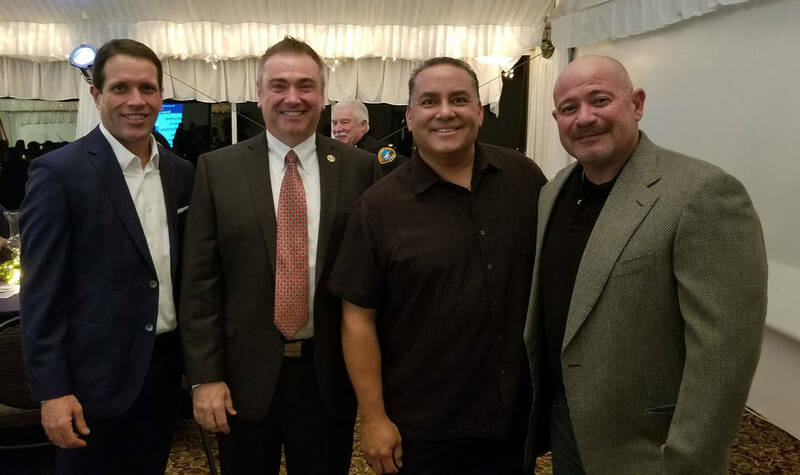 Jim Ferrence, from left, City Manager Al Noyola, Mike Pacini and Rob Martello take time out for a quick picture at the mayor’s State of the City address on Thursday, Jan. 17, at the Boulder Creek Golf Club pavilion.